Jeep Wrangler Stubby Trail Rectangular Mirror. Single Mirror Kit Only. Left or Right Side. Textured Black. 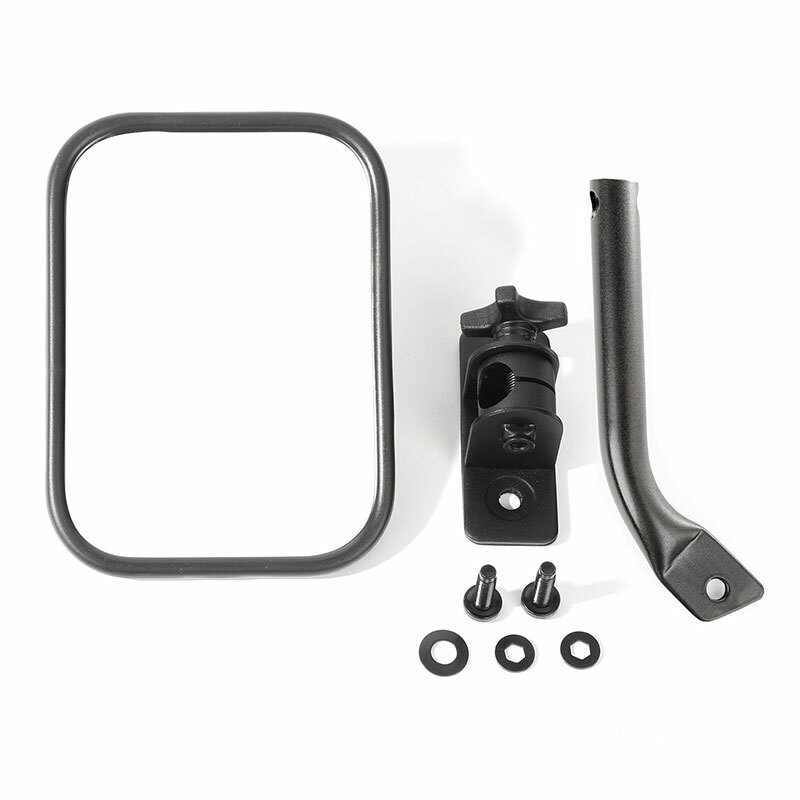 Includes mirror head, mirror arm, mounting bracket, bushing, thumbscrew, gasket and hardware. Fits: 1997-2017 Jeep Wranglers All Models. 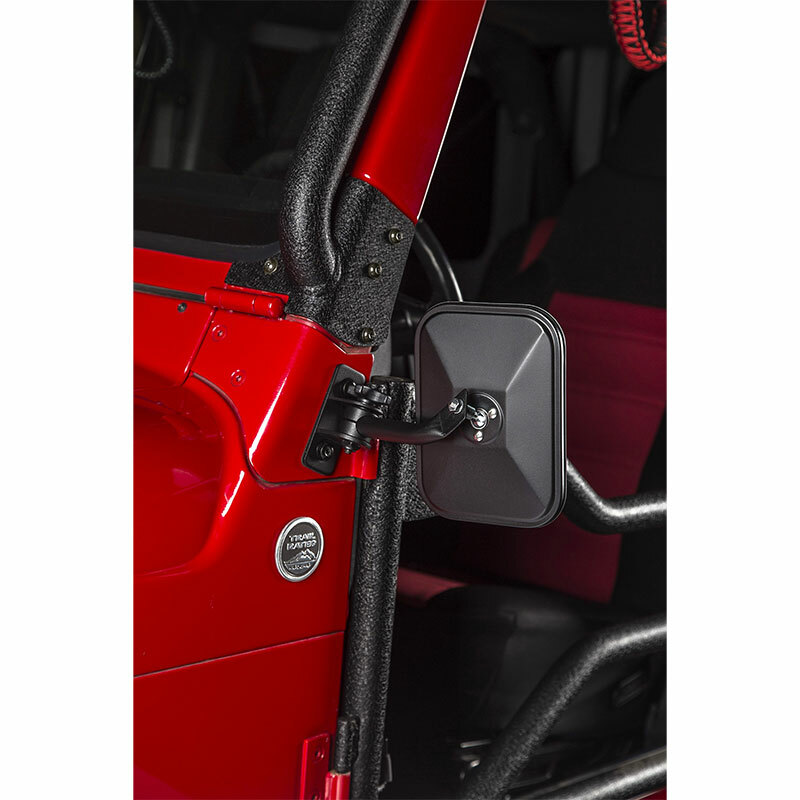 The new Rugged Ridge Stubby Quick Disconnect Mirrors give you the visibility you need for safe driving when you take the doors off your JK, but with a new "stubby" arm; delivering a narrower, more off-road friendly profile. Each mirror arm is reduced by three inches, allowing the mirror to hug more tightly to the vehicles body. 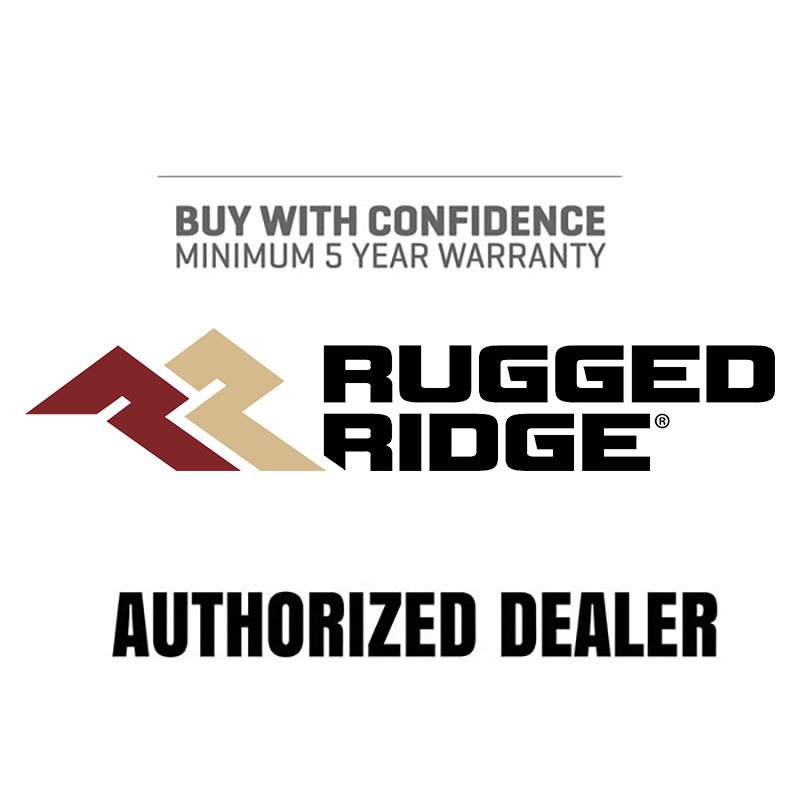 Rugged Ridge Stubby Mirrors textured black powder coat looks great on any paint color and installs easily with the included mounting hardware. When it’s time to put the doors back on, these mirrors can be removed quickly with a few turns of the convenient thumb screw. A convenient bolt-on mirror solution for when you want to leave the doors at home - also great with tube or safari doors.